Wade Newman was willing to do anything for his beloved dog, Snowflake, even if it meant putting his own life on the line. 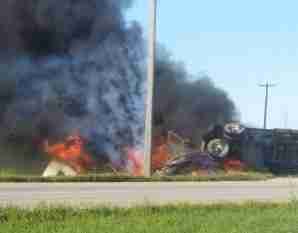 Newman, a truck driver, was driving on a Winnipeg, Canada, road with his two dogs when his semi crashed into another vehicle. The truck burst into flames. Newman's other dog, Sasha, escaped unscathed but Snowflake, a two-year-old poodle, was badly burned. Newman, who also suffered extensive burns, rushed into the wreckage to carry Snowflake to safety. Snowflake was taken to the Winnipeg Humane Society where she has been undergoing daily, intensive treatment for her severe injuries. 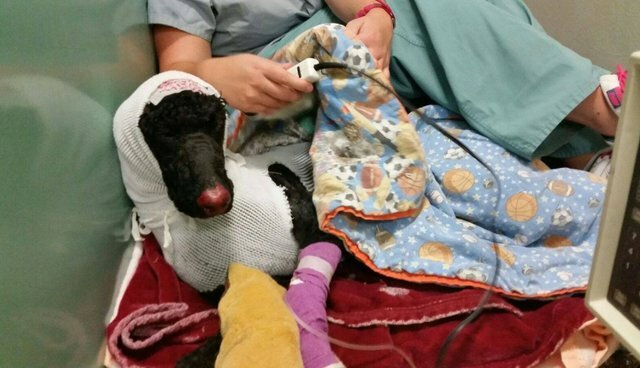 "She survived the crash because her owner jumped back into the fire to save her. When we found out about his selfless act, we knew we had to help her in any way possible," the shelter posted on its Facebook page. Not only does she need lots of care and medicine for her pain, Snowflake also must undergo daily hydrotherapy to help clean her wounds. These lifesaving treatments are adding up - the Winnipeg Humane Society spent $2000 on Snowflake's care just in her first week. To help cover the costs of saving Snowflake, the shelter has set up a fundraising page and is hoping the community will come forward to help. "She's just the most amazing dog. She's so sweet," said the Winnipeg Humane Society's vets in a statement on Snowflake's fundraising page. 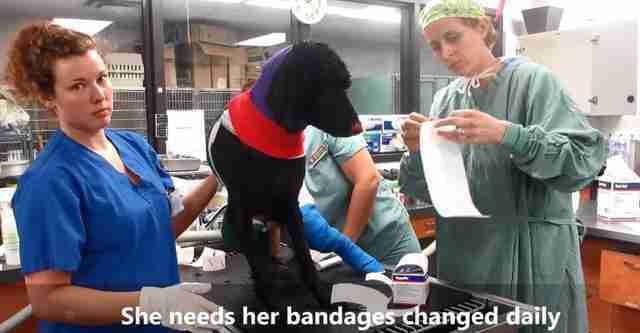 "The day after she came here, we had her full head-to-toe in bandages and she was wagging her tail at us." For now, it's unclear what Snowflake's future holds - but with a loving owner and her supporters online and at Winnipeg Humane, this gal has a lot of people pulling for her.